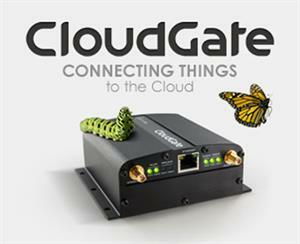 Connect virtually anything to Option CloudGate LTE Gateway for connectivity and on-board processing power. Option Wireless Technology’s CloudGate LTE M2M router is the carrier approved IoT solution platform that delivers device connectivity, security and processing power for global IoT applications. Cloudgate LTE modem includes the world wide carrier-approved intelligent Cloudgate gateway router that comes with CloudGate Universe, Option’s cloud-based configuration and deployment platform, as well as the CloudGate SDK for rapid application development, the CloudGate HDK for prototyping custom expansion cards and award-winning LuvitRed, a visually configurable device agent with easy-to-use graphical, “drag and drop &visual wiring “ configuration. LuvitRed overcomes complexities of the vast variety of protocols used in different IoT verticals and delivers true IoT Edge Computing capabilities on Cloudgate in an easy way. A pre-built library of software applications and modular hardware extensions ensure ease of deployment and maximum flexibility. Only Option delivers a complete M2M ecosystem.